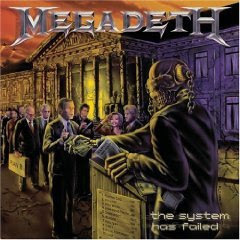 Review: Megadeth, "The System Has Failed"
A little more than a year ago, it looked like Megadeth was done thanks to nerve damage in founder/guitarist Dave Mustaine's left hand. After listening to "The System Has Failed," that might have been for the best. The latest Megadeth outing has its moments. "Kick the Chair," with its "Rust in Peace" vibe, is one of the best songs Mustaine has written in years. "Die Dead Enough" and "The Scorpion" are interesting, even if they do sound more like Alice Cooper than Megadeth. And with original guitarist Chris Poland back in the fold - at least for the recording sessions - the guitar work is outstanding. But most of the songs on the album are just plain boring. I'm talking fall-asleep-in-the-middle boring. "Blackmail the Universe" tries to recall the band's glory days, but falls well short. Mustaine makes a plea to old-school metal fans on the Judas Priest-flavored "Back in the Day," but considering the cheesy delivery, it's likely to fall on deaf ears. 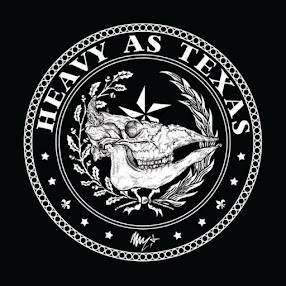 If you're a fan of the 1990s Megadeth sound, you might enjoy this album. If you're hoping to hear Mustaine and Co. rip out some old-school thrashers, download "Kick the Chair" for 99 cents and use your 15 bucks to pick up one of the remasters. Get "The System Has Failed."